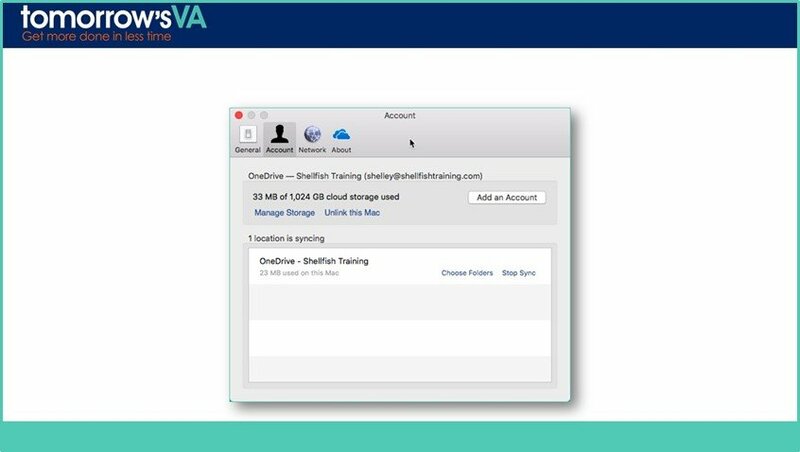 Are you a busy VA or business owner who is using Office 365? You went down this route for various reasons, you love the familiar Office packages, you like that you can work both online and offline. 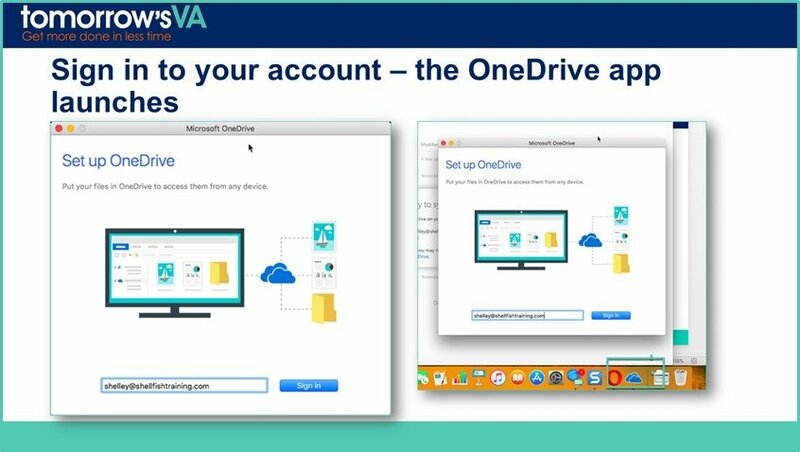 And you really love the idea of using OneDrive for Business and having your documents stored in the cloud and on your local machine. When you synchronise something, you are making sure that everything matches – remember the term Synchronise Watches? Making sure everyone has the same time showing on their watch? Well synchronising files is the same. 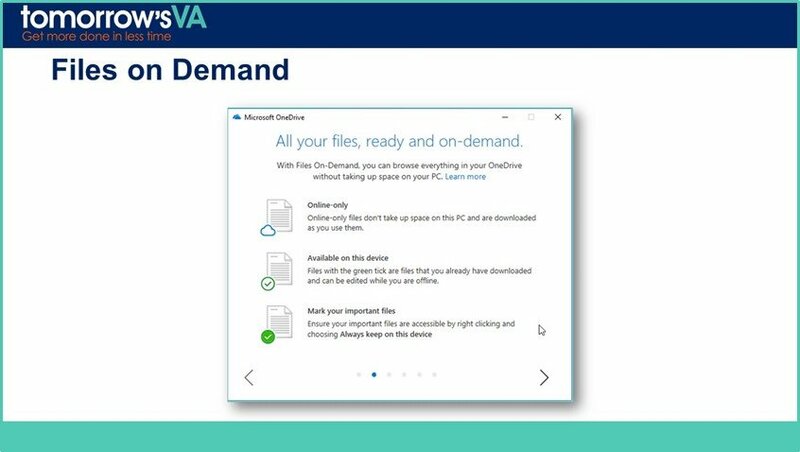 We want to make sure that we have the exact same files stored in OneDrive for Business and on our local machine. Your computer will check whether you want to launch the OneDrive app – you do so say yes. This is the same on both Windows and Mac. The prompt you see is slightly different, but the concept is the same. You are then asked to sign in to your account – this is your email address and password for your Office 365 account. 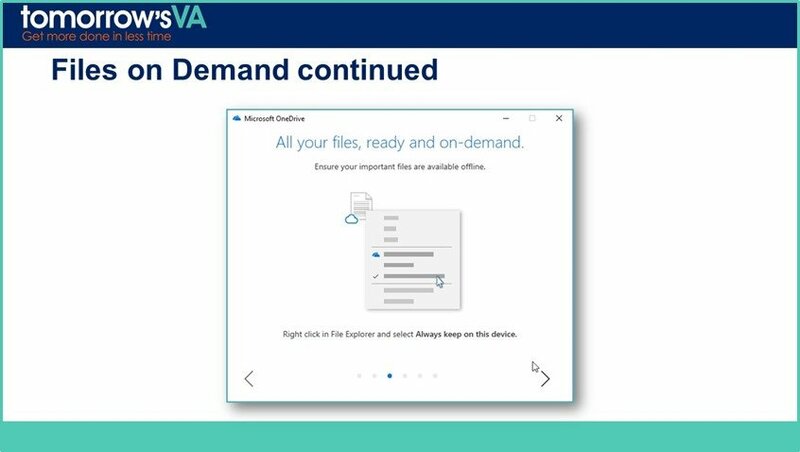 If you are on Windows at this point you are shown a picture of where your files are stored. If you are on Mac, you will be asked to select which folders to synchronise. One Windows 10 the default setting is to save all your documents in the cloud. You have a local link to the files, but the storage is online. This means that you save space on your local hard drive – useful in these days of portability and small laptops! You can get to any of your files easily while you have a full internet connection. Once you have accessed a file it changes its state and becomes locally available so even when you don’t have an internet connection. You can also elect to keep all your files on your local computer. Here is what the message you get looks like on Windows. Here is what I do. I have a large 27″ Windows 10 desktop which has a wired internet connection. On this machine I synchronise everything and store it locally. I also have a Surface Pro for when I am out and about. This only has 256GB of hard drive storage so on this machine I keep all the files online. If I am going to a client or away, and I want to make sure to have certain files locally, then I select to download fully just those folders. In any event even if I don’t download them fully, once I have opened a file, I can work on it even when offline and my changes will be synchronised when I next go online. You do this on a right click. In fact, the synchronisation wizard shows you how. 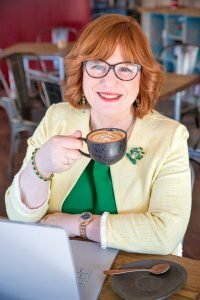 Can I move files online or keep locally easily? Yes, simply right click on the file or folder you want to change and choose from the options- Move Online or Always keep on this device. What if I am on a Mac? 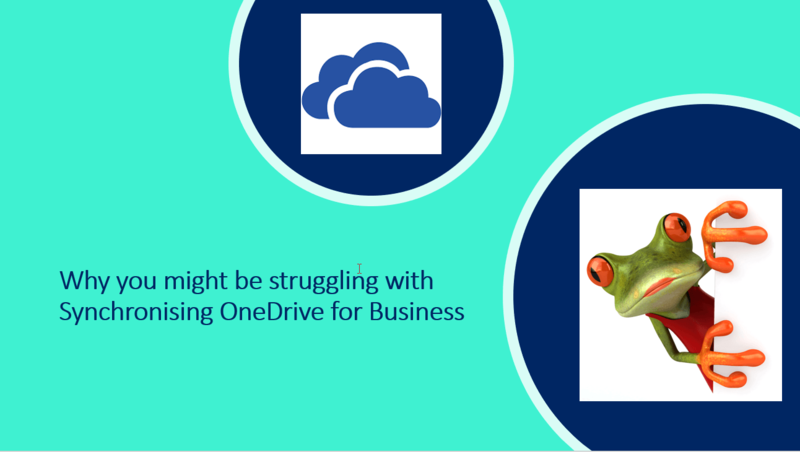 Start from the web as above then you will be prompted to launch the OneDrive app. You will need to sign in and then you will see the OneDrive app in the Dock. At this point you will asked for your password. Once you have done that, you are shown where the OneDrive folder will be created and given the option to change the location. Then you choose what to synchronise. 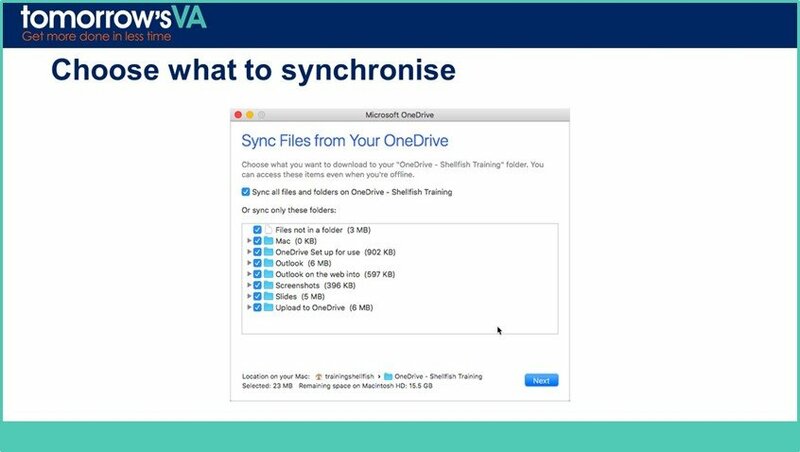 This can be changed at any time so you can decide to stop synchronising a folder later on. When you are done, you get a message saying that your OneDrive is ready for you. You will see a link to it in the Favourites in Finder and on the Menu bar of the desktop. To change the folders, click the three dots you see like the image on the right, then choose preferences. Click on Choose Folders here under Account and then uncheck the ones you no longer want to have on your local machine. What happens to folders I no longer Sync? When you decide not to synchronise the folder, it will be removed from your local OneDrive folder. It is still available online and you can still save documents to it or get documents from it from within the Office applications. 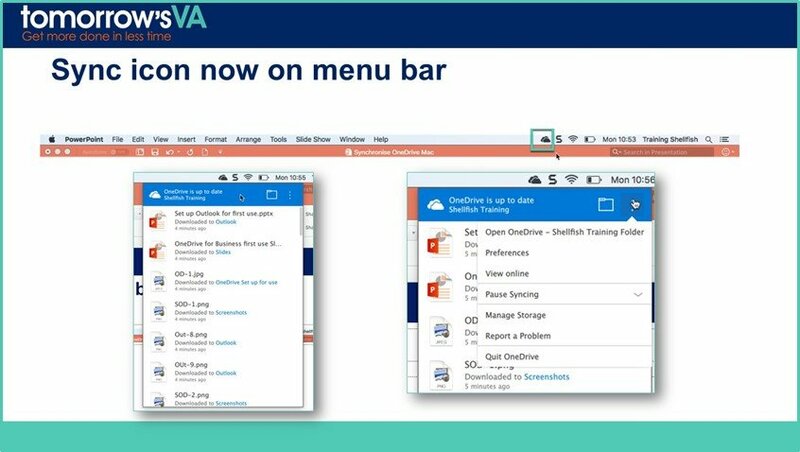 If you want to find out more about how to use OneDrive for Business with the rest of Office 365, hop over and see my course – Running your VA Business with Office 365. 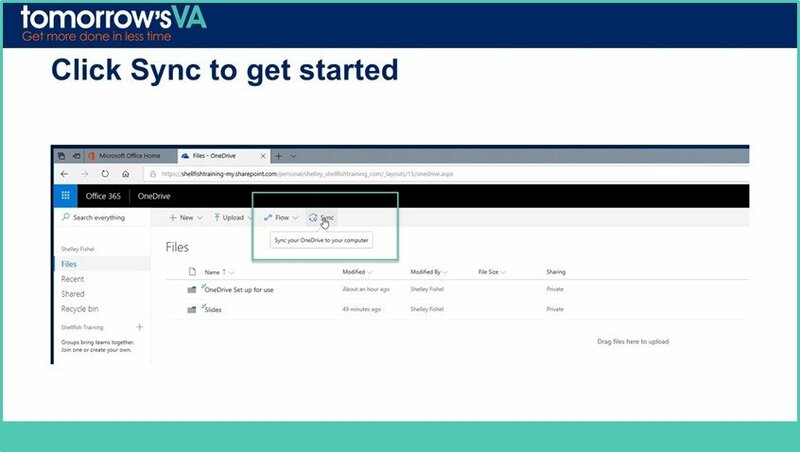 There is lots of useful information in this course to help you get up and running We also have a range of other courses on Office 365 packages and they are being added to all the time. Let me know in the comments if you found this useful and if you have any questions. 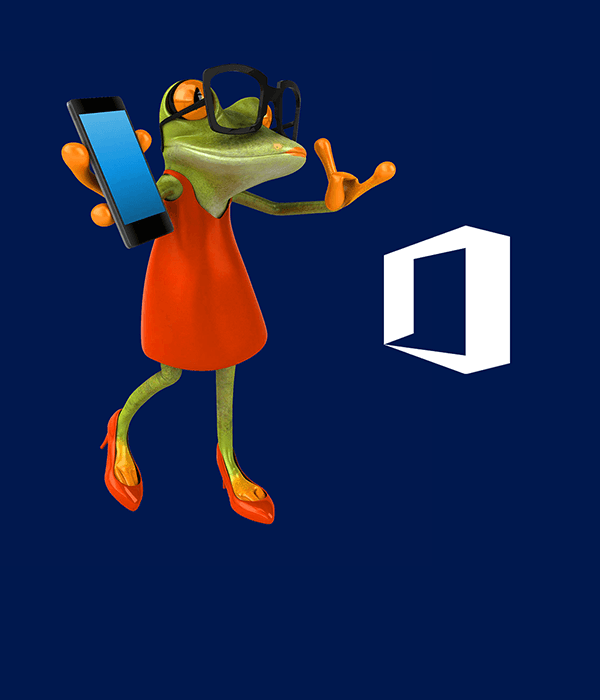 ← Previous Post Why I love working with Office 365 and you should too! Why I love working with Office 365 and you should too!